Situated on the north bank of the River Thames, Page Street SW1 is in a prime London location. We were briefed to manage the interior design of a private lounge and fitness suite in a completed development of 14 luxurious apartments. 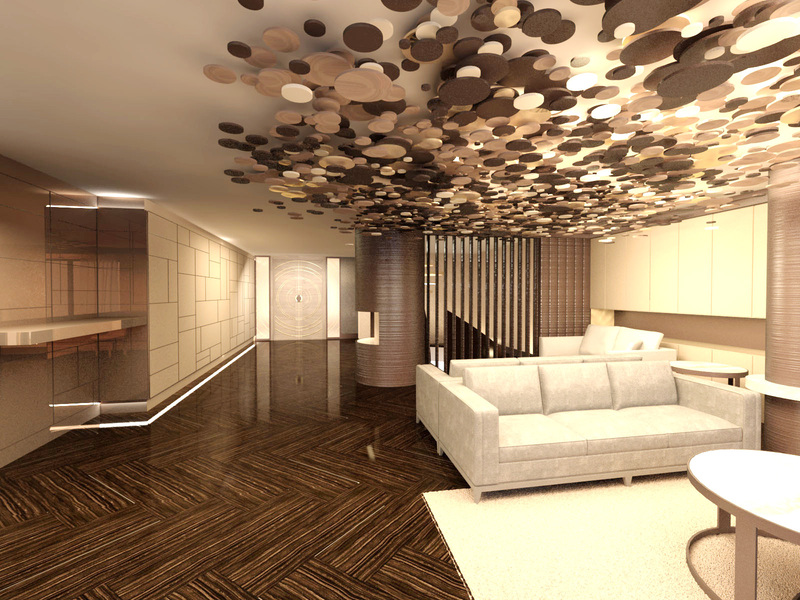 The ground floor accommodation consist of an inviting reception area and resident’s lounge accessed from the main entrance. 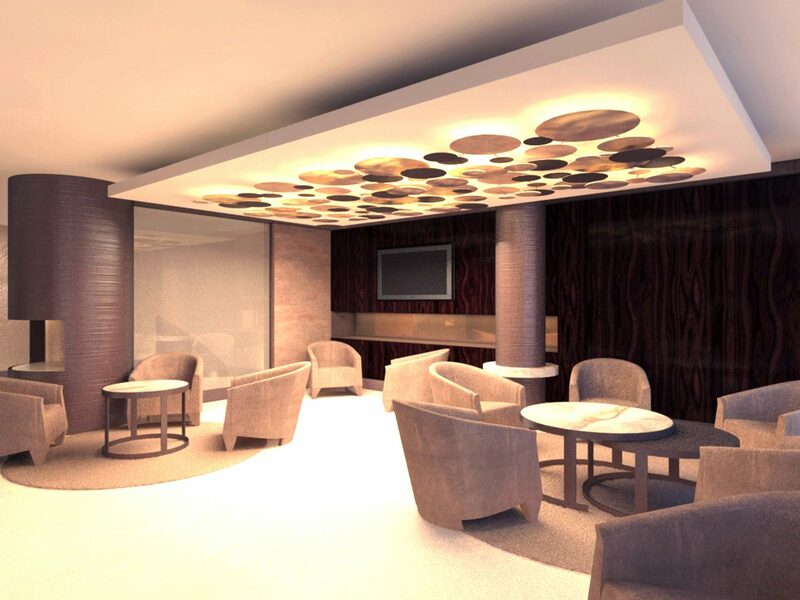 Each of these spaces have a specific character and caters for intimate or group meetings within a relaxed environment. 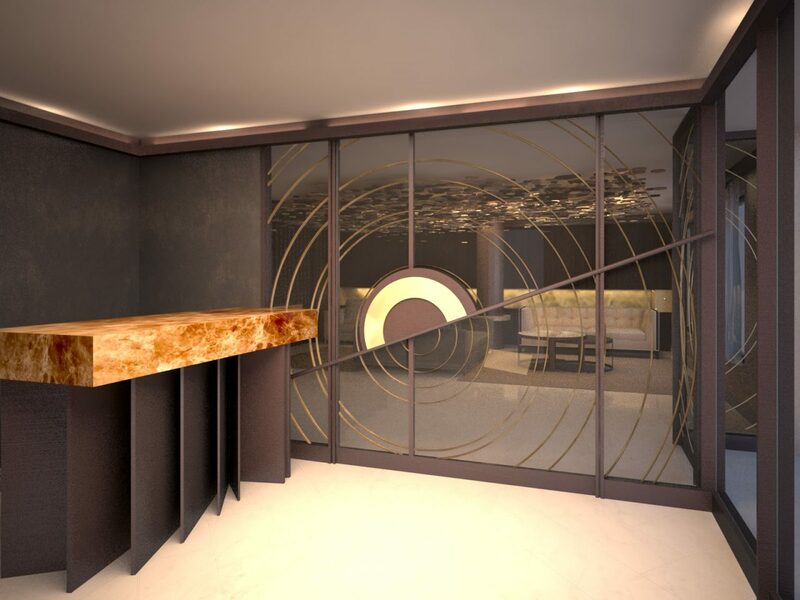 The lounge is partly divided from two further meeting rooms by a decorative screen, which defines the staircase void and creates a secondary lobby to a disabled cloak room. From the residents lounge, the sculptural staircase, a key feature of the design, leads to a generous lobby on the lower ground floor. 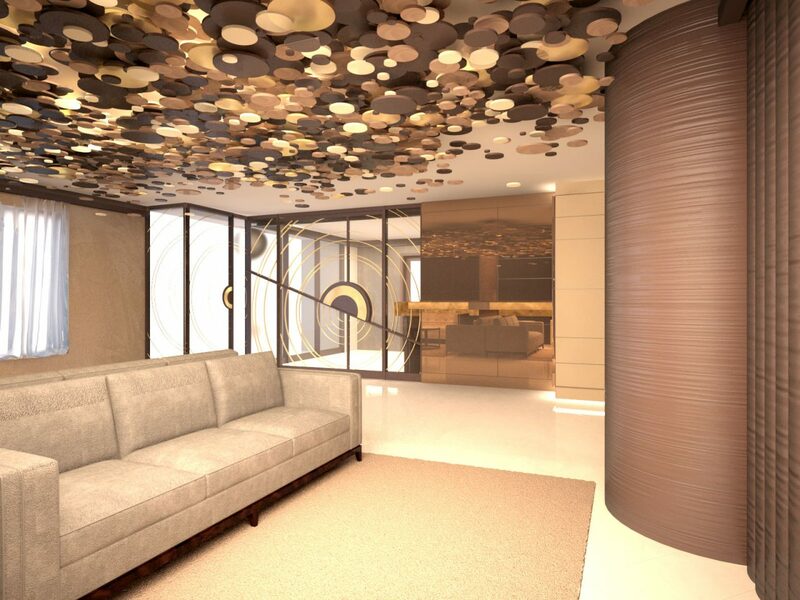 The lobby leads to a private dining room and a fitness suite. The private dining area is visually connected to the staircase via a strategically placed glazed screen. 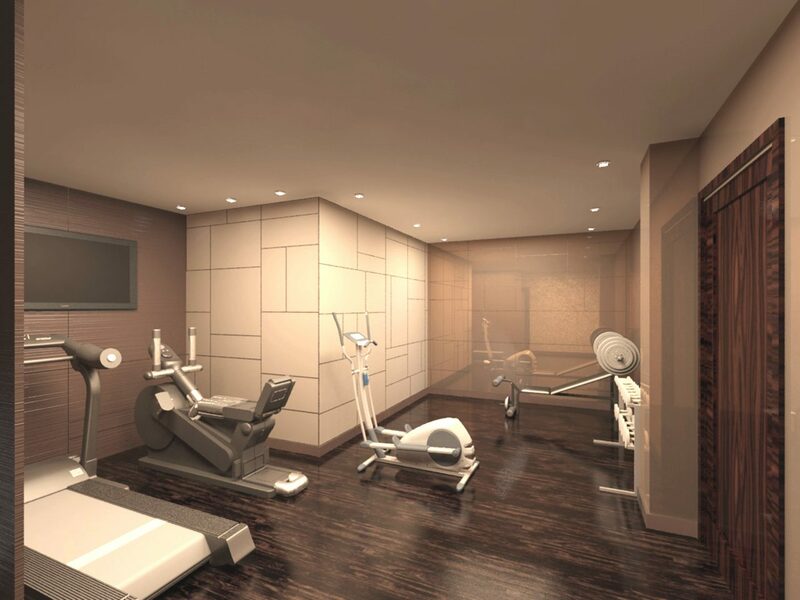 The split level “residents only” fitness suite promotes a healthy lifestyle. It is equipped with a steam room and sauna on the upper level to enhance the feeling of seclusion and relaxation. The exercise area which includes cardio and resistance equipment is served by male and a female changing rooms with showers. 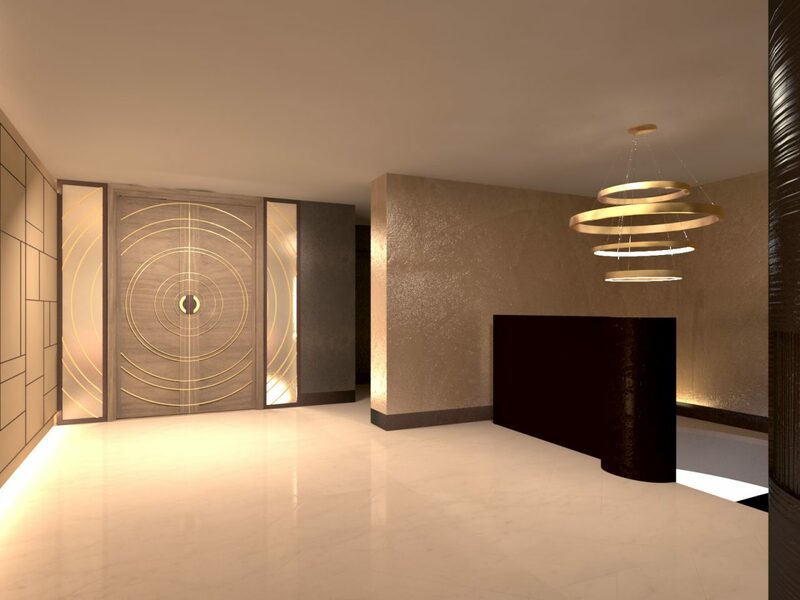 The luxurious interior is complemented with a sophisticated lighting scheme and bespoke joinery to create a calm retreat from the hustle and bustle of the city.